The controls and hydraulic system are versatile, designed to drive casing oscillators, rotary drills, vibrators and diaphragm walls grab. 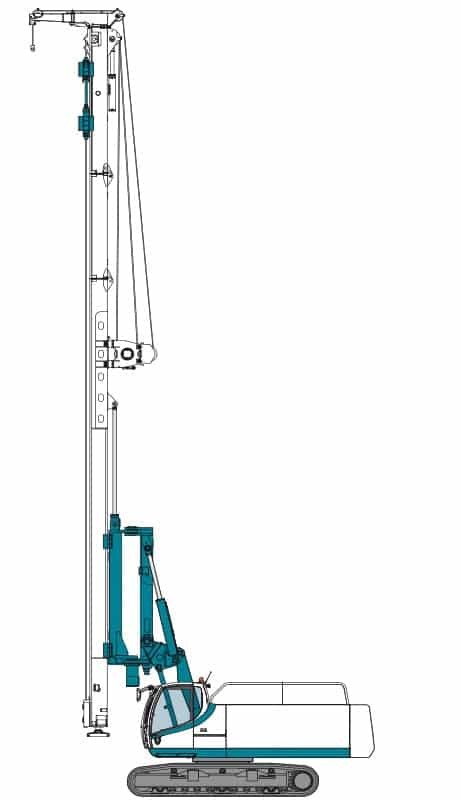 Rotating mast attachment, easy positioning, 360° working area, piling with angle up to 15°, easy and compact transportation allows the V16-19 to execute different types of work. A wide range of application such as sheet piling, pile driving, CFA, soil mixing, displacement pile and VDW.